As a chiropractor, Anthony is trained in working with the body’s nervous system, which can be thought of as its control centre. When you’ve lost function, it may be due to a lack of communication between the brain and this all-important system. Areas of dysfunction often present, and you become more prone to injury. There is an array of issues that Anthony has been able to help his patients with, such as numbness and tingling, shoulder pain, neck pain, low back pain, headaches, sciatica, whiplash and balance problems. During your initial assessment, we will take a detailed medical history and listen carefully to your concerns. 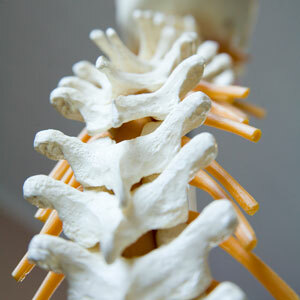 We will also carry out neurological and orthopedic testing specific to your issue. Patterns of dysfunction will be located, and we’ll trace them back to the source. By locating the root cause, we focus on more than relieving your symptoms. Anthony utilises a mix of chiropractic techniques. Primarily, he uses the Activator®, of which he is Advanced Proficiency Rated. It provides a controlled force from an instrument that is consistent and accurate, with a protocol that shows where to adjust and where not to. Your adjustments are logged in a chart so that you can see their effects over time. He may also use the McTimoney Technique, another gentle approach that works for people of all ages. With objective testing, we’ll pinpoint your problem in the most effective way possible. To learn more or to schedule your assessment, contact Ossio Chiropractic today!